Cathedral House – Self Catering and Bed and Breakfast Accommodation in Ely, Cambs. Established in 1996 Cathedral House is the nearest B&B to Ely’s magnificent medieval cathedral. 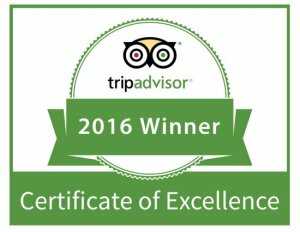 Whether your visit to Ely is for business or pleasure, a warm welcome awaits in this unique Grade II listed historic home. 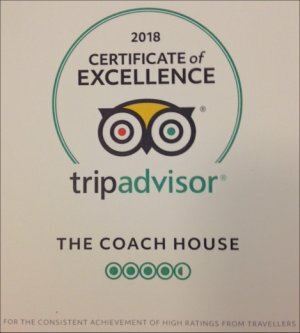 There is a choice of traditional bed and breakfast in the house, or self-catering holiday accommodation in the Coach House – voted as one of The Guardian’s 30 ‘cool’ cottages. 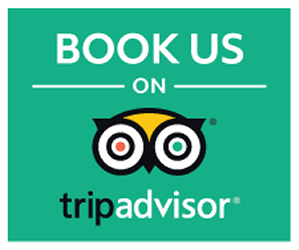 Other recommendations: Which Travel November 2015, Times – Travel section 2nd August 2014, Michelin Green Guide, Footprints Guide to East Anglia, Frommers, Lonely Planet, Fodors and Rough Guide. Although only a stone’s throw from the Cathedral and Cromwell’s House – the Tourist Information Centre, restaurants, shops and main facilities it is a remarkably tranquil situation. All rooms have en suite bathrooms (no power showers) and are eclectically furnished. Ely is a great starting point from which to visit Cambridge and its colleges (go punting on the Cam), Newmarket – the historic home of horse-racing, Bury St. Edmunds, Kings Lynn and Norwich. Only 66 minutes from London’s King Cross railway station and grand St. Pancras station with its Eurostar service to Paris and beyond. Other easy travel connections: Cambridge International Airport which has services to Paris, Geneva, Amsterdam and Milan; and London’s Stansted Airport is only 50 minutes away.